The inconvenience of wires is easily overlooked once you hear what a wonderful job these do at reproducing your favorite tracks. 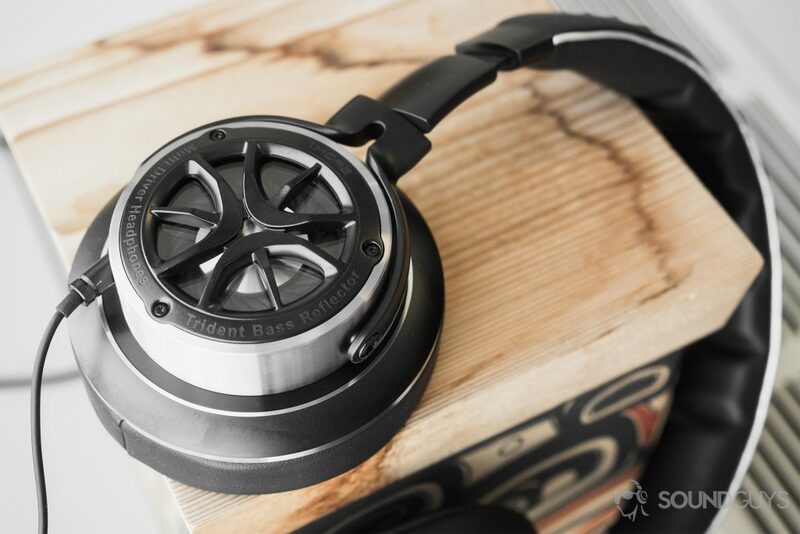 Construction isn’t at the expense of sound quality; the cans are made of leather, aluminum, and stainless steel and manage to feel lightweight on the head. 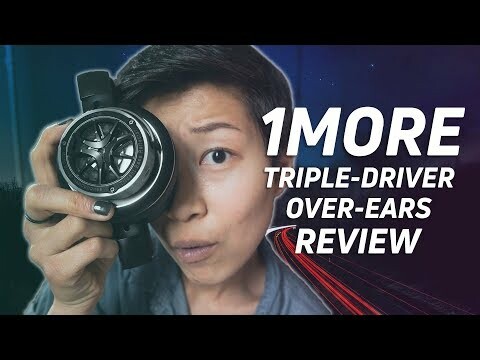 Ever look at a tire and think, “Yeah, I want that on my ears.” Well, 1More thinks that you have, and the company has designed the 1More Triple-Driver Over-Ear headphones accordingly. The Trident Bass Reflector system echoes design elements of the Sennheiser HD 820 that was unveiled this year at CES, but ends up looking more like the spokes of an car tire. These are great for listeners who already know what they want in a pair of mid-tier headphones. For instance, if you like a bass-heavy sound, you’ll enjoy the Triple-Driver Over-Ear. Design aside, the triple-driver technology is just as effective here as it is with the company’s in-ear model. These headphones sound phenomenal, and are available at a competitive price of $249. Let us go then, you and I, like a patient anesthetized upon a table and dive into the nitty-gritty of the 1More Triple-Driver Over-Ear cans. Who are the 1More Triple-Driver Over-Ear for? These are for listeners who have dabbled enough in the world of audio to know what they seek out in a pair of headphones. If you’re going to invest a couple hundred dollars in audio equipment, you’ve done your homework more often than not. As it applies to the 1More Triple-Driver On-Ear headphones, these are great if you want accentuated bass with minimal sacrificing of clarity. Externally, the 1More Triple-Driver Over-Ear look very similar to a car tire due to their spoked design. Additionally, if you’re a bit of a Luddite and refuse to succumb to the move towards Bluetooth, then these are a great option for you. They manage to sound incredibly clear while retaining a sound that’s a hybrid of consumer-friendly and studio-ready. Though I wouldn’t recommend professional audio-mixing with these, they’re certainly up for the challenge of run-of-the-mill voice edits for straightforward projects like narrative voice-overs. Before we get to what’s inside; the 1More design team deserves credit for their excellent package design. If you caught Adam’s review of the Triple-Driver In-Ear ‘buds, then you’re already familiar with it. The blueprint design—depicting the headphones’ internals—is beautifully done, and reminds me of Leonardo da Vinci’s anatomical studies. But onto what’s included. The headphones include a proprietary 1.35-meter long 3.5mm replaceable cable. It’s equipped with a Kevlar core for increased durability and tangle-resistance. You get a removable, 1.35-meter long 3.5mm proprietary cable that’s decked out with a Kevlar core and inserts into both ear cups; a matte-finish, hard-shell case; a ¼-inch adapter; and the 1More Triple-Driver Over-Ear headphones. How are the 1More Triple-Driver Over-Ear built? If you’re worried about mostly-plastic headphones, relax: the 1More Triple-Driver Over-Ear are really well-built. A stainless steel skeleton allows for the headphones to expand or retract without catching. The frame sits atop a steel hinge, granting the Triple-Driver Over-Ear the ability to fold upward for storage. The leather headband looks gorgeous, and the two parts are held together by a silver accent that pipes along the edge of the headband. On top, the 1More name is embossed in the leather. It’s apparent that 1More’s R&D team did their due diligence, but the headband still manages to create a hot-spot on the crown of the head and behind the ears. Though this may not be the case for you, I’m ambivalent about the aluminum alloy ear cups. My first impression was, “I didn’t realize that these are open-back headphones.” Well, they’re not. First-glances, however, may have you thinking otherwise because of the transparent paneling—dubbed the “Trident Bass Reflector.” Personally, I’m not a huge fan of this design but do appreciate that form follows function. 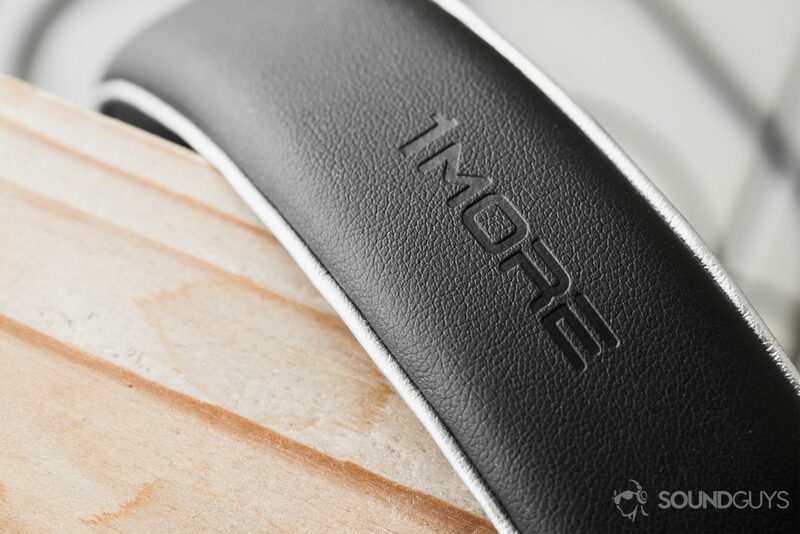 The ear cups are constructed from the same premium leather as the headband and feel soft and supple—everything you could conceivably want from ear pads. However, the ear cup design is far too shallow. Immediately upon donning these, I felt the ear cups rubbing against my ears. If your ears protrude more than average, you’ll find this problematic. Hot spots form on the crown of the head and behind the top of the pinna after about an hour. It’s easy to expand the headphones via the stainless steel sliders. On the plus side, the ear cups rotate and lay nearly flat on the chest, which is great news for chins everywhere. Plus, the mixed-material cable is thick and durable without feeling dense or cumbersome. The best part? It’s replaceable, Kevlar-reinforced for durability, and tangle-resistance. At the 3.5-mm termination is a nice metal jack and silicone stress reliever; this construction is mirrored at the other end of the cable, too. Most headphones use a single dynamic driver to do all the work of reproducing the 20Hz – 20kHz frequency range, but a triple-driver system—you guessed it—uses three drivers to divvy things up. Now, to clear some things up: These don’t contain three drivers; rather, they’re constructed of a single graphene-coated mylar driver, a bass reflector, and a ceramic tweeter. Additionally, these are hi-res certified, so they receive an extended frequency response range of 20Hz – 40kHz, 20kHz beyond the upper limit of human hearing. 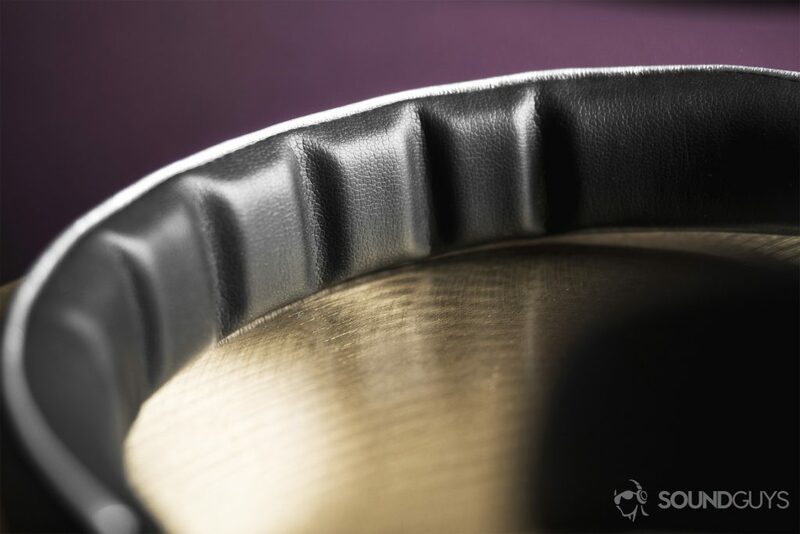 1More’s triple-driver technology effectively delegates the work of frequency response reproduction between a graphene driver, ceramic tweeter, and bass reflector system in each ear cup. A tweeter is a type of driver that propagates a quickened treble response, lessening distortion. On the other end of the system is the bass reflector which allows for greater depth and clarity in the low-end. The best part about it? It’s not just marketing hype—it truly is effective. But more on that in the “Sound Quality” section. The wired connection requires that the cable is connected to both the left and right ear cups. Though I do enjoy the convenience of Bluetooth, wired connectivity is the way to go for high-resolution audio. You don’t have to deal with Bluetooth codec alphabet soup or worry about battery life. Of course, there are hardware vulnerabilities to deal with instead of software issues: The cable could fray or snap at any of the three terminations, but 1More accounts for this by making it replaceable—problem solved. You’re correct. The 1More Triple-Driver Over-Ear headphones lack a mic and in-line control module, both of which we consumers have come to expect as a given on consumer-oriented models. You could argue that this improves fidelity, but it’s a negligible improvement at best. To my surprise, I found myself missing the basic control functions that even a one-button remote supplies, but it’s not a deal breaker. Though the soundstage is impressive for closed-back cans, the 1More Triple-Driver Over-Ear headphones still fall short compared to the Sennheiser 598 CS. Let’s cut to the chase: Overall sound quality is great. These are by no means neutral, and that’s fine. Plus, the emphasis is fun; the bass reflectors are effective, and compensate for loud notes by absorbing undesirable low-end reverberations. As far as the soundstage is concerned, it’s wonderful. Though, I’ve said it before and will say it again, the Sennheiser HD 598 CS are the consumer cans to buy if you want a reasonable illusion of 3D space in your music. However, music played over the 1More Triple-Driver Over-Ear headphones sounds much clearer due to the care 1More put into managing the effects of loud sounds in small places echoing. Lows: Does the Trident Bass Reflector system work? Indeed, the Trident Bass Reflector system works. Low-end reproduction is pristine. No matter the song, the bass manages to avoid the common problem of echoing low notes, or what you might notice as a bewildering boom. I’m astounded by how clear the bass is in Sophie So by Hippo Campus. It’s certainly emphasized, but the bass notes during the instrumental (2:30) are appropriate and responsive. The midrange notes sound great. Relative to low-midrange frequencies—think G or Emajor chords on a guitar—vocals tend to be slightly under-emphasized, but female vocals don’t suffer to the same degree. If you want to hear this in action, listen to Souls by Hippo Campus, which can be found on their freshman album. Jake Lupen’s vocals are forward and clear during the verses. However, once the chorus kicks in, it requires a bit of effort to parse Lupen’s voice from the drums and guitar riffs. Atop the leather headband is the 1More name. That said, The Greeting Committee’s song—She’s A Gun—is even busier when it comes to guitar riffs and general underscoring, but Addie Sartino’s­ higher-pitched voice is never overwhelmed by lower notes. It’s not like Sartino’s voice is high-pitched for a female, but there’s enough of a difference that the 1More Triple-Driver Over-Ear are able to isolate her vocals from the maddening guitar in conjunction with aggressive drum hits. The introductory 20 seconds of Buttercup by Hippo Campus relies solely on a tambourine and falsetto vocals. I wasn’t sure how the song would sound on the Triple-Driver Over-Ear since they favor the low-end, but tambourine hits are satisfying and clear during the intro. Once the rest of the instrumentalists join in, though, treble reproduction loses some clarity. The stainless steel yolks rotate 45 degrees, and the hinges fold in completely for convenience. As the song transitions from the focused chorus to the verse—which is filled with synthesized noises that are layered on top of typical guitar, drum, and bass accompaniment—the tambourine is traded in for hi-hat hits, which are difficult to hear over the guitar’s rhythm. In all fairness, treble reproduction is actually quite accurate, but due to the overpowered bass, they become hard to hear. How well do these isolate? Noise attenuation is disappointing for just about any on-ear cans, and the 1More Triple Driver Headphones are no different. Low frequencies easily permeate the isolation barrier and the cartilage in your outer ear, which goes against 1More’s claim that these are “perfect for travel.” When on the Amtrak, I was able to hear other passengers when they were three rows ahead of me. The isolation of the 1More Triple-Driver headphones is little more effective than cupping your hands over your ears. Well, yes. 1More has received quite a bit of praise here and elsewhere—and for good reason. Much like Monoprice—though not to the same extent—1More knows how to construct solid products for a competitive price. Quite frankly, it’s undeniable how good the Triple-Driver circumaural headphones sound. The 1More Triple-Driver Over-Ear headphones retail for $249. Shelling out $200-plus is plenty for a pair of headphones, but these aren’t for the average Jane or John Doe who needs to replace their Phillips ‘buds. Instead, these appeal to those of us who are enthusiasts and have already figured out what we do and don’t like in any given pair of headphones. If you don’t like a bass-oriented sound signature, then you’re best looking elsewhere; perhaps more towards something like the aforementioned Sennheiser HD 598 CS or the Bowers & Wilkins PX if you’re not wed to wires. The Triple Driver Over-Ears embody everything 1MORE stands for: disruptive innovation. A lightweight, yet durable closed-back aluminum alloy design and adjustable stainless steel leather headband offer superior comfort, while three drivers provide stunning studio quality sound. Enjoy a precise sound stage with silky highs, mids, and deep bass.